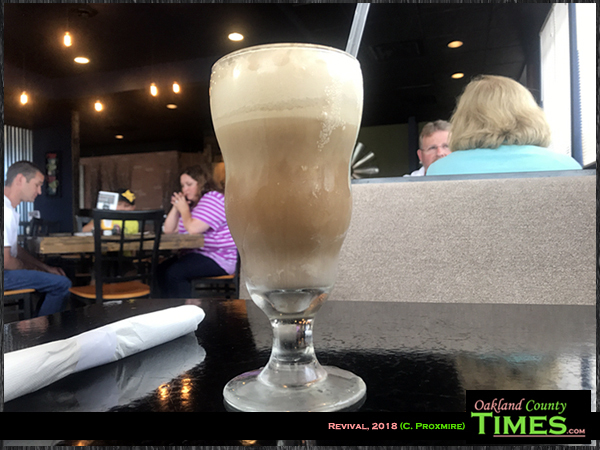 Waterford, MI- Just off Dixie Hwy on Walton Road is a cool cafe with food choices and a name that reflects their take on upping the neighborhood food game – Revival. 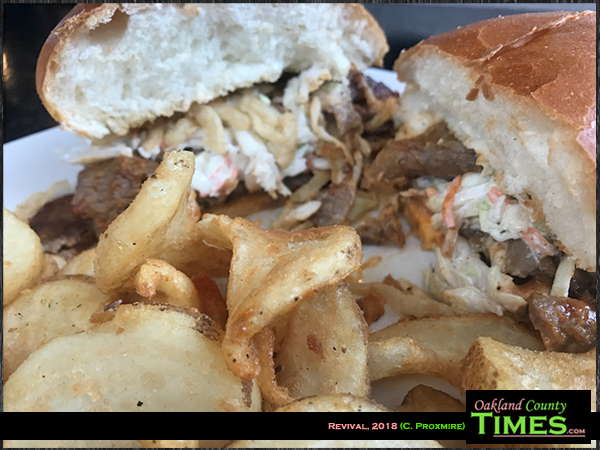 The “modern American” dining is a step up from lower-cost diners and coney joints, but is still affordable and non-pretentious. Ingredients are locally sourced and much of the food is made from scratch, including their Vernor’s-based bbq sauce. For my first (but not last) visit I went for the Mac Bombs and the Almighty Brisket. 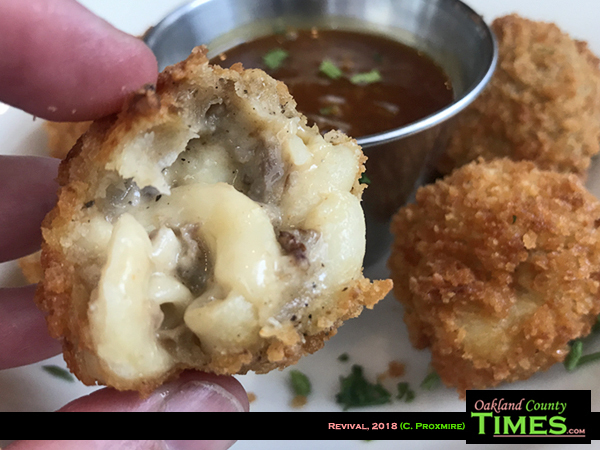 Mac Bombs are balls of macaroni and cheese with little bits of brisket coated in bread crumbs that are fried and served with Vernor’s bbq sauce, which is sweet with a ginger kick. Apologies for the cliche, but these really are the bomb. The sandwich lived up to it’s name also. 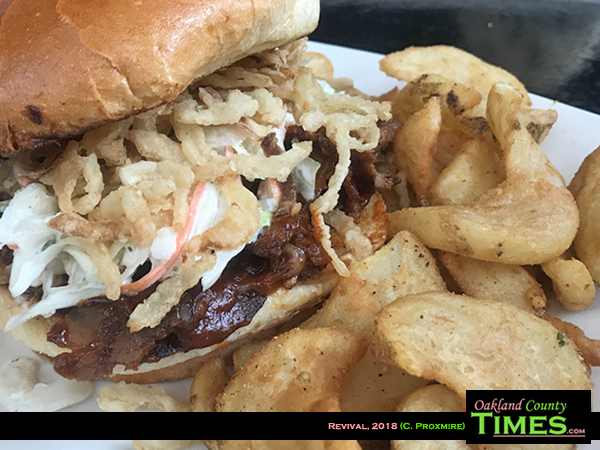 The Almighty Brisket combines smoked brisket with chipotle bbq sauce, cabbage slaw, and crispy fried onions on a brioche bun. It came with thick, slightly curly, fries which I ended up dipping in ranch. I also enjoyed a tasty root beer float. Atmosphere-wise, it’s got a trendy look with a mix of wood and metal decor with other artsy details. There are big comfy booths as well as tables made of reclaimed wood. There were people of all ages, including a family whose kid gave those within earshot a giggle when he asked “Excuse me, but is your macaroni and cheese Kraft?” Upon learning that theirs is theirs is an oven-baked variety with cavatappi noodles, house-made cheese sauce and a panko crust, the youngster decided to try the chicken strips instead. 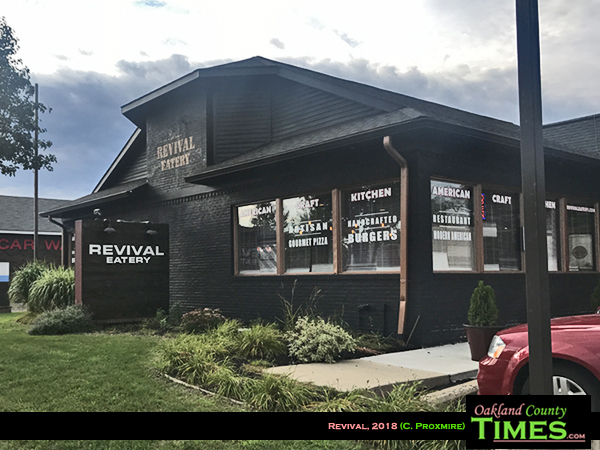 The Revival menu includes thin-crust pizzas, burgers, and street tacos. Other items that sound interesting include the Angry Bird sandwich, coconut shrimp, chicken and waffles, and tot-chos which combine tater tots with nacho toppings. 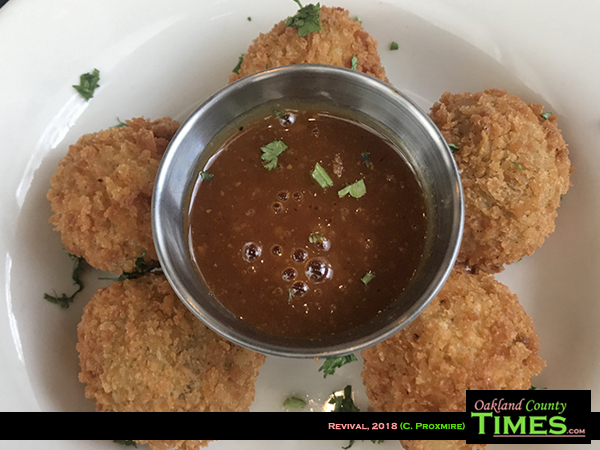 Check out their menu online at https://www.revivaleatery.com/menus.